So check this out..... I was sleeping early Thursday morning (~5am), when all of sudden I feel a shooting, excruciating pain in my right calf muscle. It started as a cramp, but quickly felt more like someone was stabbing me in the leg with a red hot pitchfork. I jumped out of bed and did my best to mitigate the pain through stretching. The initial and most painful throbbing subsided after 2 minutes, but more general pain and associated tightness persisted for hours. Immobilized, I called into work sick for the first time in 5 years. My condition did not improve by the middle of the afternoon; I went into urgent care where I was diagnosed with a small tear in my calf muscle. An MRI on Tuesday will confirm, modify, or refute this preliminary diagnosis. Until that time - and likely well beyond - I am relegated to crutches. I have no idea how this happened. It feels like the worst joke ever. How I managed to bike 18,000 miles without any leg injuries only to tear my calf in my sleep is ridiculous! I feel like such a chump - seriously. Oh well, If I can't laugh at myself, I can't laugh at anyone else, right? Sadly, birding will be curtailed as I heal in the next few weeks. Since I cannot walk, I must find places to bird that require, at least at this time, very minimal crutching. This weekend that meant a quick run to the north side of Los Angeles to chase a lost Glossy Ibis, an eastern species that is very rare in California. I'm certainly not a big CA lister, but as the bird would require only a short crutch it was the most exciting thing I could do considering my current condition. Scope kindly carried by Sonia! and a frog, because I'm going to be hopping around for a while! 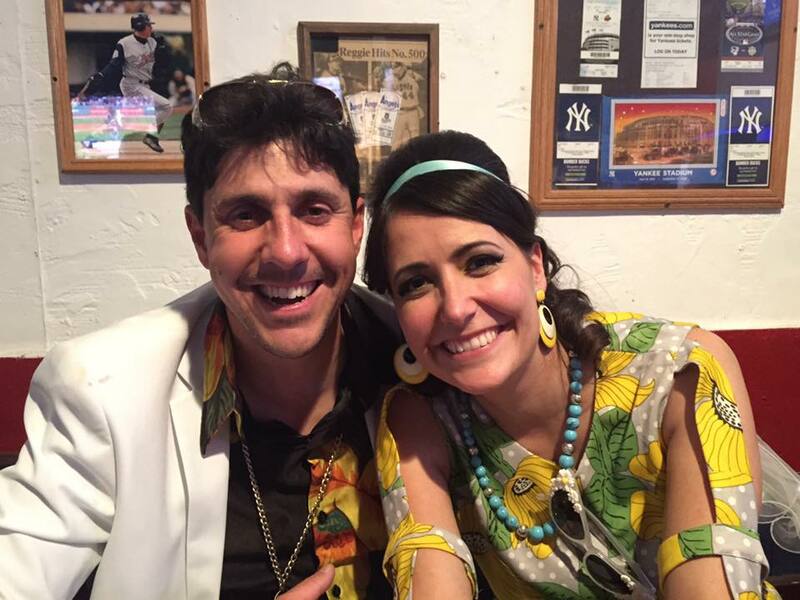 Sorry that I have been comparatively absent of late, but I have a really, really good excuse; Sonia and I got married this past weekend! This was a long time coming, and it feels really good to know where my personal future lies. Our wedding was rather unique, taking place on roller skates at an old skool roller skating rink in Orange County. I won't give you too many details, but here are two photos, one from the rink and one from the reception, to show you the scene! How the heck does a wedding tie into birds?!?!? Well, check this out. In 2013, Sonia and I traveled to Newfoundland. It was an incredible trip highlighted by a particular afternoon we spent with an amazingly cooperative group of Atlantic Puffins in Elliston. As we watched the comically cute birds, dozens of humpback whales breached in the background. It was like something out of "Planet Earth! ", an incredible scene that we will remember for the rest of our lives. 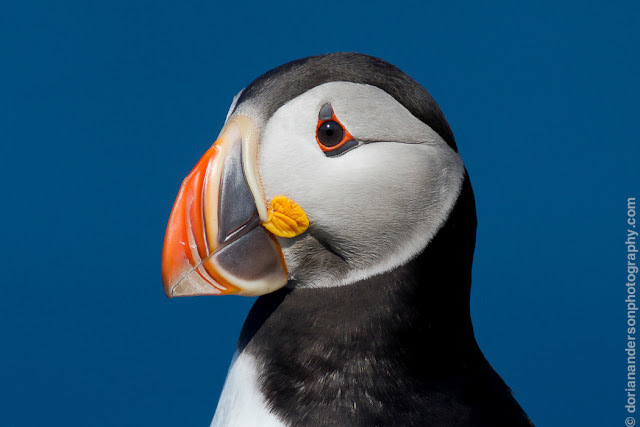 As expected, I took quite a few puffin photos that day. This is my favorite of the many. 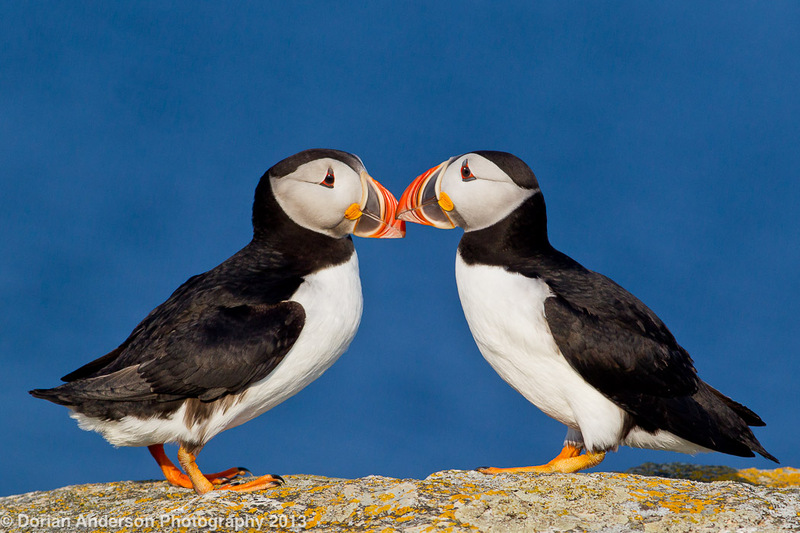 Many seabirds have stereotyped bill-touching and bill-tapping routines that they use to reinforce their pair-bonds. I caught this presumed pair during one of these exchanges. As it doesn't take too much anthropomorphizing to liken this behavior to human kissing, this photograph has become a representation of the affection that Sonia and I feel for one another. We felt so strongly about this that we personalized our wedding bands with an etching of this exact scene! 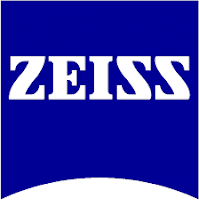 Macro lens and skills needed! With the wedding behind us, I hope to do a bit more birding in the upcoming weeks. As that happens, I should be able to generate more bird related content. 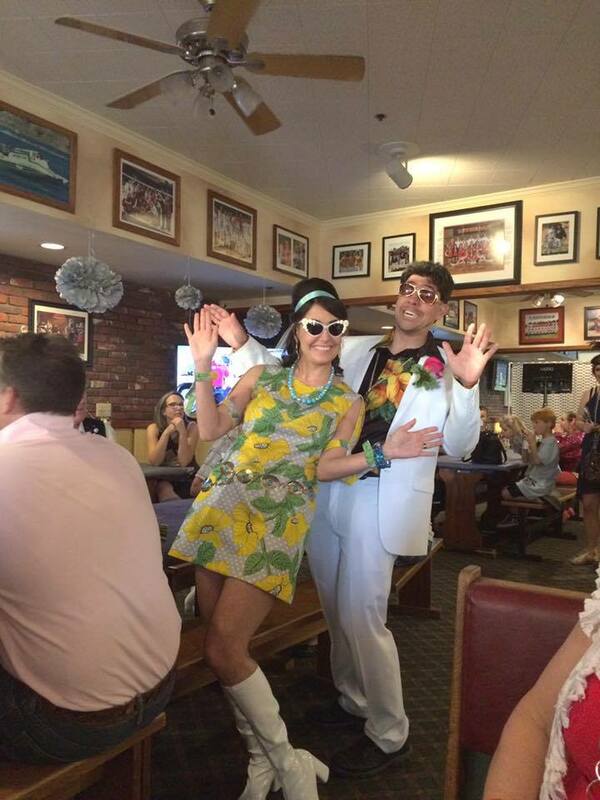 Until then you'll just have to live with a bit more of the wedding fun! 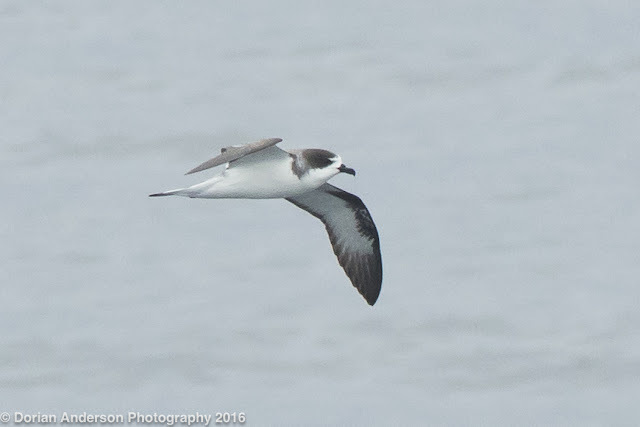 Post #65 - West Coast Cruise Ship Pelagic - tons of info! Quick Update: You are also going to want to check out a post from my second Cruise Ship Pelagic from December 2017. 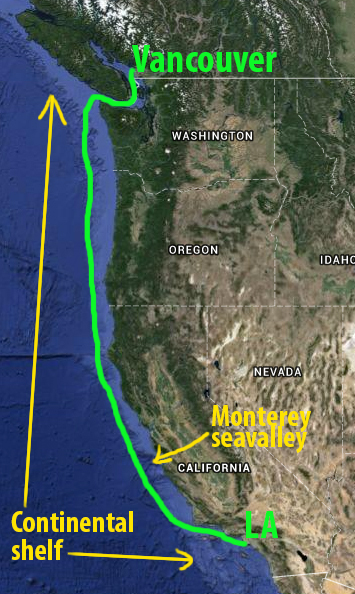 This post is REALLY, REALLY long as it is full information that anyone thinking about a West Coast cruise ship pelagic might find helpful. I hope this makes up for my absence the last few weeks! From May 3 through May 7, I was aboard the Princess Cruise Lines’ Ruby Princess as it sailed from Los Angeles to British Columbia. The trip was a repositioning cruise, a relatively quick, non-stop trip designed to move the ship from its winter base in Southern California and Mexico to its summer base around Seattle, British Columbia, and Alaska. These “repo” cruises are discounted but generally include the usual cruise activities and perks (live entertainment, all inclusive meals, etc). Prior to this adventure, I had never been on any sort of cruise and, truth be told, had never had any sort of desire to spend even a minute on a cruise ship. However, after this experience, I will say unequivocally that anyone interested in pelagic birding – particularly those who are avid ABA listers – should seriously consider replicating my experience at the first possible opportunity. I will most certainly be doing another repo cruise sometime in the future. Wait – why the heck would anyone go on a cruise to see pelagic birds when there are already more traditional pelagic trips specifically geared towards finding pelagic birds off the Pacific Coast? 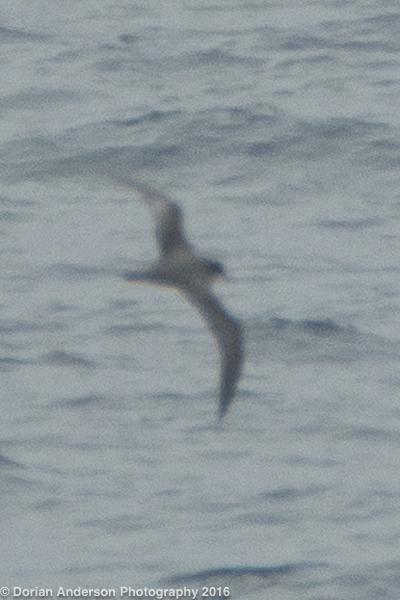 The short answer is Pterodroma petrels, but it will take a minute or two to fully explain this. 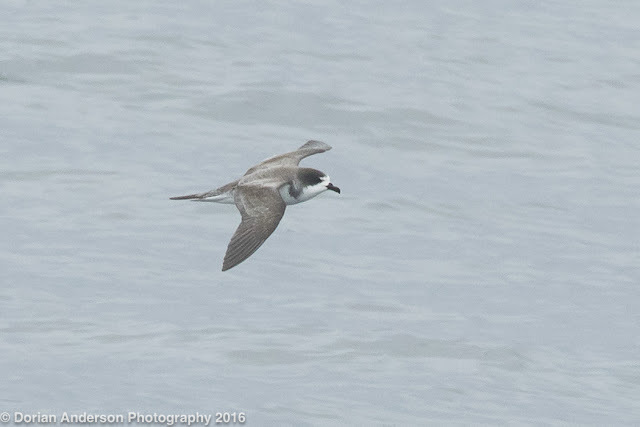 Traditional 1-day pelagics leave port in the morning and run out to deeper water before returning to the starting point later in the afternoon. 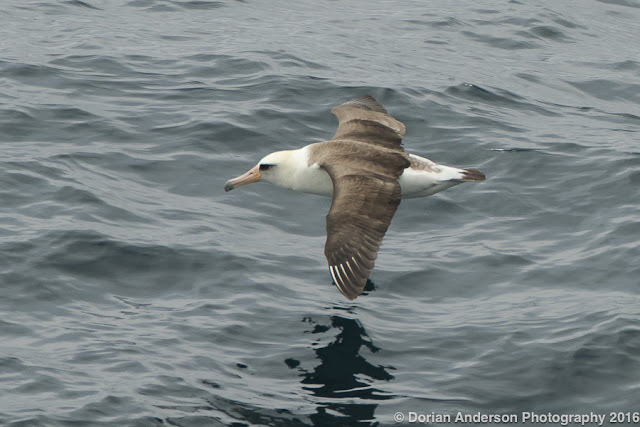 These trips are incredibly good for finding albatrosses, shearwaters, storm-petrels, alcids, and jaegers, but they do not generally spend enough time in the deepest waters to find 3 highly prized members of the Pterodroma genus, Cook’s, Murphy’s, and Hawaiian Petrels. Yes, each of these species is occasionally seen on traditional out-and-back, 1-day pelagics, but never (at least these days) are all 3 seen on the same trip. A person would likely have to take at least 25 individual west coast pelagics to even hope of seeing the 3 mentioned Pterodromas. These odds of finding these species increase exponentially from the cruise ship. Why? Well let’s look at my recent itinerary. Day 1 - Tuesday, May 3 – Left LA/Long Beach at 4pm. Slept on ship. Day 2- Wednesday, May 4 – At sea. Slept on ship. Day 3- Thursday, May 5 – At sea. Slept on ship. Day 4- Friday, May 6 – Arrive Victoria 7am. Ticked Sky Lark***. Departed 10pm. Slept on ship. Day 5 - Saturday, May 7 – Arrived Vancouver 10am. we rode the shelf edge the whole way. We were anywhere from 40-60 miles out. As we did not waste time getting to and returning form the deeper water on the middle days, our crew of 35 birders had more than an entire day of daylight in the deep, most Pterodroma-productive waters. 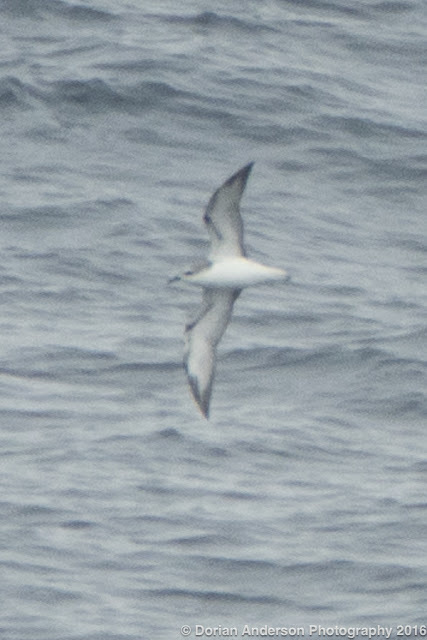 1-day pelagics rarely, if ever, make it out to the shelf line. Those trips that did get out far enough struck out on petrels with such high frequency that those trips aren’t run anymore, especially since the cruise ship has emerged as the preferred method of deep water pelagic birding. This brings me to the other huge consideration with regards to the cruise ship: comfort. While I actually like getting bounced around a bit on the 50- to 80- foot fishing-type boats used for traditional pelagics, most people do not. Many birders opt out of pelagic trips completely because of the potential for rough seas and associated seasickness. Aboard the 950-foot long and 165-foot tall Ruby Princess, jostling and seasickness are complete non-issues. Even in 40 MPH winds and 15 foots seas on our second day the boat was steady, so steady that we were able to use scopes even under such conditions! At this point, I do want to say that cruise ships will not make traditional pelagics obsolete any time soon. The views of birds on traditional pelagics are MUCH better than those from the cruise ship for a number of reasons. First, the cruise ship is huge. Not only are birders a long way up from the water but birds can see the cruise ship coming a long way away. They wisely get the heck out the way well before the ship advances too close. 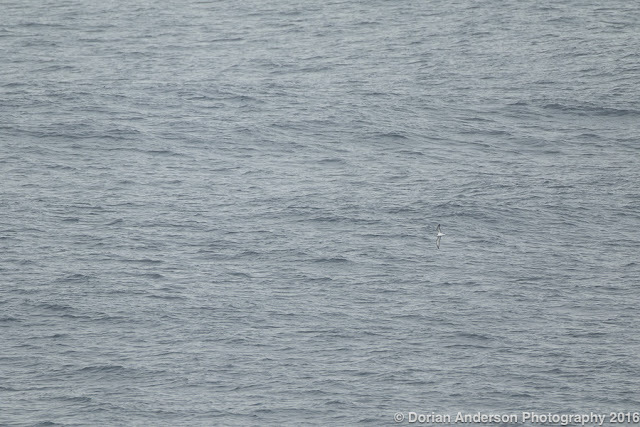 This means most of the birds are seen at distances of hundreds of yards from the ship. This leads into the second huge advantage traditional pelagics hold: they are designed specifically for birders. Chum often brings birds to within arm’s lengths of the boat, and the captain and leaders generally bust their butts to point out birds and position the boat for the best views. If you miss the bird on a cruise ship, its gone – no chum to bring it back and no slowing or turning to see the bird even if it does make another pass (which didn’t happen anyway). Particularly notable, photography is infinitely easier and more productive on traditional trips. Cruise ship pelagics are thus a complement to rather than a replacement for traditional pelagics. OK, so how did our specific trip unfold? Well, here’s the birdlist from our two full days at sea. I should give a special thanks to eBird master Brian Sullivan for keeping the eBird lists the entire time. This list does not include the inshore species that we saw during our exit from LA or our arrival in Victoria/Vancouver. The most important thing to note is that we wrecked shop on petrels, scoring a hat-trick with multiple Cook’s, Murphy’s, and Hawaiian! We had also had 4 Laysan Albatrosses in addition to the more expected Black-footed. 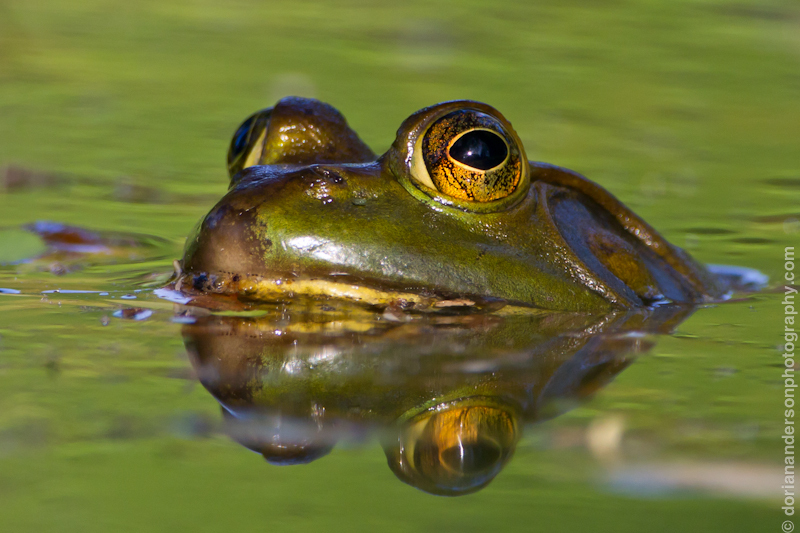 This is uncropped from my 500 f/4 on 7D2. This should give you an idea of the view of many birds. 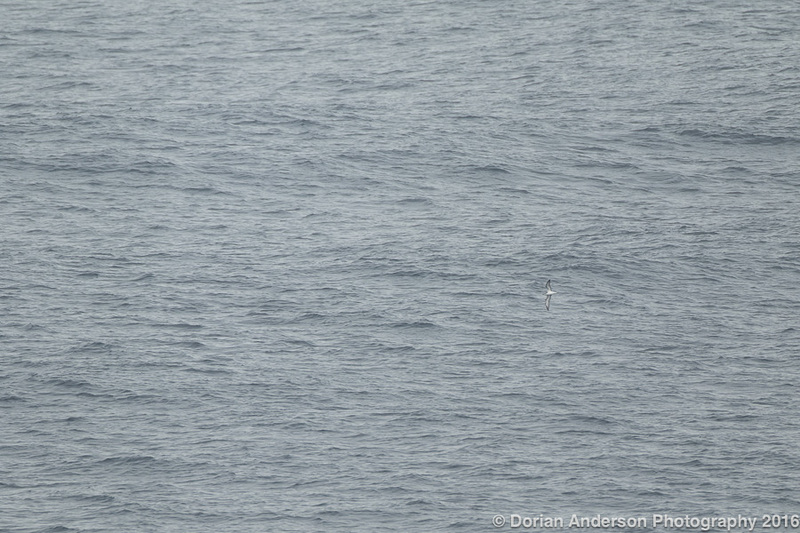 Interestingly, the vast majority of the petrels were seen on the first full day at sea (day 2 of the cruise). That day was nearly glass calm. Those conditions permitted us to bird from the exposed bow for the entire day. The sun rose as we entered Southern Monterey County, but it was not until around 1pm, when we reached the waters off of Marin County southwest of Point Reyes, that the birding really heated up. In the hour after lunch, we had views of dozens of Pterodromas representing all 3 of the sought species. Below is a video of the party just after a Hawaiian gave us a really nice, eye level fly-by! Interestingly, we thought that the calm conditions might make more difficult than usual the task of finding the wind-loving Pterodromas. We were thankfully horribly wrong on that assumption. After the afternoon mayhem, which included our first Laysan Albatross and our only South polar Skua, we continued through Mendocino County before darkness fell. Day 3, our second full day at sea, had us waking as we crossed into Oregon waters. The winds on that second day were wicked (>40 MPH) and relegated us to birding from the more protected sides of the boat. Here the cruise ship proved invaluable as we were able to productively bird the deep water in conditions that would have kept any smaller boat shore-bound. Scoping was certainly a bit challenging, but we managed to squeeze out a number of Murphy’s Petrels, a few more Laysans, and our only Arctic Terns of the trip. Sabine’s Gulls and Fork-tailed Storm-petrels were everywhere. We crossed into Southern Washington later in the evening before crashing for the night. We docked in Victoria at 10am on the morning of Day 4, May 6th. Birding in the straights as we approached port, we added more traditional inshore species (Mew Gull, Black Oystercatcher, etc). As we had a full 12 hours to explore Victoria and the southern tip of Vancouver Island, many of us elected to chase down our ABA Sky Lark near the Victoria Airport. Once thriving and now crashing, locals expect the introduced species to disappear in the next 5-10 years. As a recent census estimated the population at just 50-80 birds, this timetable might be generous. The cruise gave many of us the absolutely perfect excuse/motivation to tick the Sky Lark without having to make a dedicated trip to the area. As I discovered, SW British Columbia is stunning and very birdy, so a dedicated trip is anyway recommended! The cruise rapped up in Vancouver on Saturday. I spent the weekend birding the metro-Vancouver area. For a large city, it has easy access to many beautiful and productive biring locales. My various birding companions and I easily cranked out 100 species in those two days. The area is also particularly amenable to photography, at least compared to the chaos and crowds that I experience in LA. For those thinking of replicating my experience in the future, I offer the following tips. There are spring repo cruises from both LA and San Diego. These are run by Princess and Holland America. The trips that depart from LA generally traverse more productive biding waters during daylight hours. The Ruby Princess of Princess Cruise Lines is also better set up for birding than are the Holland America ships. Though it is an N of 1, my trip on the Ruby Princess out of LA suggests that that combo is a winning formula for those that can make it happen. Air temperatures were in the 50’s and 60’s, but once the wind kicked up it got cold fast. The ship moves at ~20MPH, so that means there is a built in 20MPH breeze at all times. I took several layers including a heavy-duty North Face expedition weight down jacket. That was the single best decision I made in preparation for the trip though bringing gloves and a wool hat was a close second. Hiking boots are also recommended, particularly since you’ll likely be standing for upwards of 10 hours each day. There are many places to sit and rest, though viewing is a bit more challenging if you go that route. Me and my crew drank the water on the ship without issues. They try to get you to buy a case of bottled water ahead of time, but that, like many other things on the ship, is a racket. We birders generally ignored all the usual cruise hubbub and as a result were not upsold on stuff we didn’t care about or need. We basically birded sunrise to sunset and then went to bed. The food was quite good, with a wide array of buffet and other dining options available. You can eat as healthy or as un-so as you desire. There was all sort of entertainment, but I didn’t give any of it a second thought. What mattered went on outside on the seas, not inside during some silly art auction! I did see some dude drop 5K on this hideous, tacky painting. So yeah, if throwing money away is your thing there are plenty of opportunities for that should you desire. Travel companion Dave "the locust" Petee hits the buffet! Generally, the more people your group includes, the cheaper it gets per person. I can’t recall the exact numbers but the cheapest option is to put four people into a 4-bed cabin. That will keep costs for all to minimum. My advice is to round up 3 close friends (so 4 people total) with whom spending 4 days in close quarters won’t be a problem and book a 4 person cabin. We were so wiped out each day we basically ate dinner and then went to bed. There's plenty of space to hang out on the ship if someone is sleeping in your cabin. Interestingly, there are fall/winter repo cruises to bring the ships back to SoCal later in the year. While the Cook’s Petrel and Murphy’s Petrel are generally spring birds, who knows what’s out there later in the year? 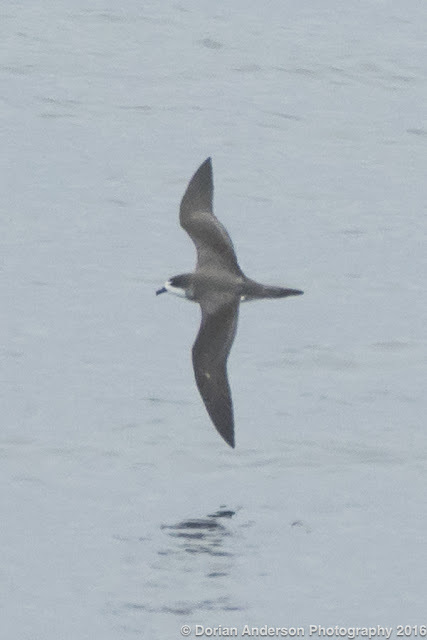 Last year a September repo cruise found 2 Wedge-rumped Storm-petrels and a December trip found Mottled Petrel. There is no doubt that as more birders hop onto cruise ships, more rare and interesting birds are going to be found! OK, hopefully someone finds at least some of this helpful. That's it for now!